America’s long, sordid affair with nullification. Historical amnesia is as dangerously disorienting for a nation as for an individual. So it is with the current wave of enthusiasm for “states’ rights,” “interposition,” and “nullification”—the claim that state legislatures or special state conventions or referendums have the legitimate power to declare federal laws null and void within their own state borders. 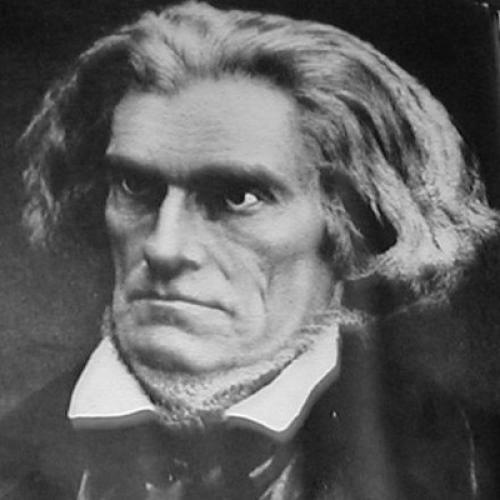 The idea was broached most vociferously in defense of the slave South by John C. Calhoun in the 1820s and ’30s, extended by the Confederate secessionists in the 1850s and ’60s, then forcefully reclaimed by militant segregationists in the 1950s and ’60s. Each time it reared its head, it was crushed as an assault on democratic government and the nation itself—in Abraham Lincoln’s words, “the essence of anarchy.” The issue has been decided time and again, not least by the deaths of more than 618,000 Americans on Civil War battlefields. Yet there are those who now seek to reopen this wound in the name of resisting federal legislation on issues ranging from gun control to health care reform. Proclaiming themselves heralds of liberty and freedom, the new nullifiers would have us repudiate the sacrifices of American history—and subvert the constitutional pillars of American nationhood. Although state governments had certain powers reserved to them, these did not include voiding laws duly enacted by the people’s representatives in Congress and by the president. Calhoun and South Carolina were isolated by Jackson’s firm stand. The aging James Madison sided with the president, deploring “the strange doctrines and misconceptions” of the South Carolinians, charging that they were a perversion of the Virginia Resolutions and insisting that the “Constitution & laws of the U. S. should be the supreme law of the Land.” (Madison also wrote of nullification that “[n]o man’s creed was more opposed to such an inversion of the Repubn. order of things” than Thomas Jefferson’s.) Other Southern states refused to join in the nullification movement, and Congress approved a compromise tariff bill. Calhoun’s radical ideas about states’ rights resurfaced during the sectional crisis over slavery in the 1850s. The Civil War began as a struggle over democracy and U.S. government, focused on a key question: Could the slave interests in individual states, dissatisfied with the outcome of a presidential election, declare that election null and void and secede from the Union? Lincoln, like Jackson before him, declared such extreme views of state sovereignty a direct attack on democratic republican government. After four years of the Civil War, in a “new birth of freedom” that resurrected the Union, Calhoun’s states’ rights doctrines were utterly disgraced—but they did not disappear forever. Nearly a century later, they were exhumed to justify the so-called “massive resistance” of the segregationist South against civil rights and, in particular, the Supreme Court’s ruling on Brown v. Board of Education in 1954. The current rage for nullification is nothing less than another restatement, in a different context, of musty neo-Confederate dogma. Following the Brown decision, James J. Kilpatrick, the pro-segregationist editor of The Richmond News Leader, dressed up nullification under the milder sounding “interposition,” borrowed from Madison’s Virginia Resolutions. Kilpatrick hoped that adopting lofty Madisonian language would lift resistance to Brown “above the sometimes sordid level of race and segregation.” Despite his rhetorical sleight of hand, his intent was radical—supporting resistance not only to acts of Congress or the outcome of a presidential election, but also to the decisions of the ultimate court. Not surprisingly, not a single Supreme Court justice then or since, including the fiercest advocates of states’ rights, has ever ruled the concept a valid response to federal law or judicial rulings. All have recognized that nullification under any name would leave controversial laws or court decisions open to state-by-state popular referendums—a recipe for chaos that would undercut judicial review, the cornerstone of American constitutional jurisprudence. And the justices have recognized the explicit language of Article VI of the Constitution, that federal laws made in pursuance of the Constitution “shall be the supreme Law of the Land; and the Judges of every State shall be bound thereby.” Yet, in their last-ditch efforts to save Jim Crow, segregationists like Kilpatrick grasped and distorted the words of James Madison from 1798. In the spirit of John C. Calhoun and the Confederacy, they then vaunted their idea of “interposition” above the words of the Constitution, of which Madison is considered the father. Kilpatrick’s gambit caught on among his fellow white supremacists in Southern state governments—most notably Virginia’s—and they passed resolutions of interdiction in defiance of the Brown decision. (The Alabama legislature went further, bluntly declaring Brown, “as a matter of right, null, void, and of no effect.”) Those resolutions came to lie at the heart of what Senator Harry F. Byrd of Virginia announced in February 1956 as a policy of “massive resistance” to Brown. For several years, the strategy succeeded in fending off federal authority, resulting in mob violence against blacks and federal officials, as well as the closure of entire public school systems in the South—including the shutdown of public education in Virginia’s Prince Edward County for five years, beginning in 1959. But determined efforts by the administrations of Dwight D. Eisenhower, John F. Kennedy, and Lyndon B. Johnson eventually broke the back of the segregationist campaign. And, as early as January 1960, state and federal courts negated the Virginia nullification laws meant to implement massive resistance. Segregationists found other temporary means to preserve racial separation in the schools, including, for a time, the creation of private “segregation academies.” But, in time, Virginia, as well as the rest of the South, finally acceded to the legitimacy of the Brown decision. The repudiated doctrines of interposition and nullification were repudiated once more. Less than a year ago, on July 16, 2009, the Richmond Times-Dispatch ran an editorial apologizing for its role and that of its sister newspaper, the News Leader, in instigating and supporting massive resistance, which it called “a dreadful doctrine.” It is all the more ironic that the legal fictions used to justify that doctrine should now be reappearing in new circumstances. “Who is the sovereign, the state or the federal government?” demanded state Representative Chris N. Herrod, a Republican, amid a recent session of the Utah legislature that affirmed it had the power to nullify health care reform. Last month, Governor Mike Rounds of South Dakota, a Republican, signed into law a bill that invalidated all federal regulation of firearms regarding weapons manufactured and used in South Dakota. The day before, Wyoming’s governor, Dave Freudenthal, a Democrat, signed similar legislation for his state. Meanwhile, the Oklahoma House of Representatives resolved that Oklahomans should be permitted to vote on a state constitutional amendment that would allow them to ignore the impending reform of the health care system. And, in Virginia, the home of massive resistance, Attorney General Ken Cuccinelli, a Republican, has argued that a recently enacted state law prohibiting the government from requiring the people to buy health insurance counters federal health care reform, which, he insists, is unconstitutional. Now, as in the 1860s and 1960s, nullification and interposition are pseudo-constitutional notions taken up in the face of national defeat in democratic politics. Unable to prevail as a minority and frustrated to the point of despair, its militant advocates abandon the usual tools of democratic politics and redress, take refuge in a psychodrama of “liberty” versus “tyranny,” and declare that, on whatever issue they choose, they are not part of the United States or subject to its laws—that, whenever they say so, the Constitution in fact forms a league, and not a government. Although not currently concerned with racial supremacy, the consequence of their doctrine would uphold an interpretation of the constitutional division of powers that would permit the majority of any state to reinstate racial segregation and inequality up to but not including enslavement, if it so chose. That these ideas resurfaced 50 years ago, amid the turmoil of civil rights, was as harebrained as it was hateful. But it was comprehensible if only because interposition and nullification lay at the roots of the Civil War. Today, by contrast, the dismal history of these discredited ideas resides within the memories of all Americans who came of age in the 1950s and ’60s—and ought to, on that account, be part of the living legacy of the rest of the country. Only an astonishing historical amnesia can lend credence to such mendacity. Sean Wilentz is the author of The Rise of American Democracy: Jefferson to Lincoln.